Digital hair dryers combine conventional hairdryers with a touchscreen that provides options for adjusting temperature, wind speed as well as ion selection (Source). Technologically advanced digital hairdryers like the Croc digital hair dryer will actually monitor airflow and temperature changes, automatically adjusting on the fly to create an optimal airflow. Another advanced option is the Kenchii digital salon hair dryer- its display screen enables you to adjust temperature, set speeds, and monitor ion settings from the top of the device. The digital hairdryers below, for the most part, are also ionic hairdryers. Ionic hair dryers are engineered to blow negative ions toward your hair, which will decrease frizz and static electricity, as opposed to traditional hairdryers which flow positive ions toward the air, meaning that your hair cuticles will open up, causing frizz. Let's take a look at five of the best typing selling digital hair dryers in the market today and see how they compare. High heat yet low wattage reduces energy consumption. 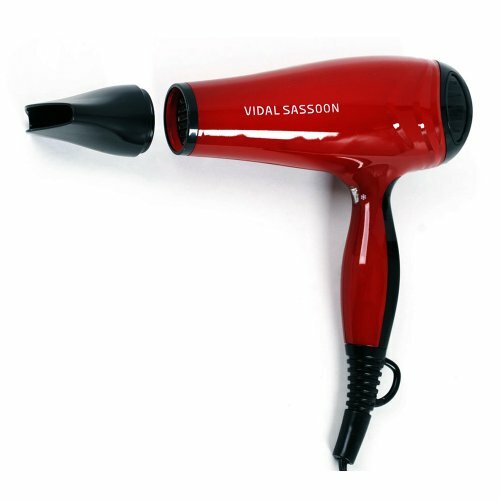 The Vidal Sassoon Pro Series Hair Dryer has users up in arms at how difficult it is to use. It’s touch controls are way too complex. While users like that it is made of tourmaline-ceramic, has a cold shot button and a setting lock feature, the difficulty of operation makes this a non-recommendation. A concentrator attachment is included when bought so Pro Series Hair Dryer can deliver hairstyles that are on par with hair salons. Users also like the red color, the ability to control the heat settings and its strong drying power that dries hair without needing to part it into sections. However, the general user consensus about the Vidal Sassoon 1875-Watt Hair Dryer is that you need to get used to it because isn’t easy to use right out of the box. It can recall the previous heat settings you used but because of this, the product sometimes comes on its own. 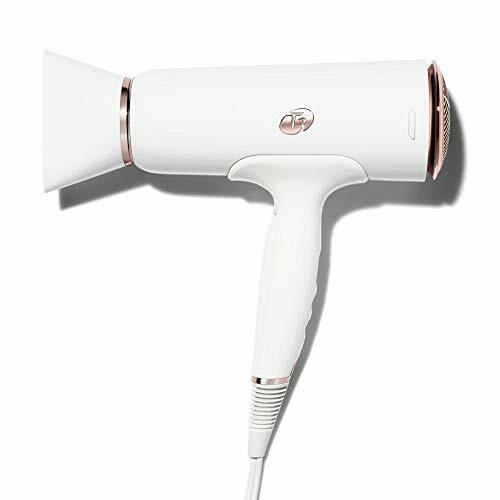 This ionic Croc Turbolon Professional Salon Hair Dryer is a well-made hair dryer option that uses ceramic-tourmaline technology. Its users feel that it is a highly powerful option, but also note that it is on the expensive side. It possesses a digital intelligent circuit with temperature controls. This digital intelligent circuit is a smart option if you are looking for a high-powered digital hair blow dryer with a long power cord. Your electricity won’t soar up when you use this hair dryer because it only runs on 1500 watts. Nonetheless, this power is enough to dry up your hair in minutes. 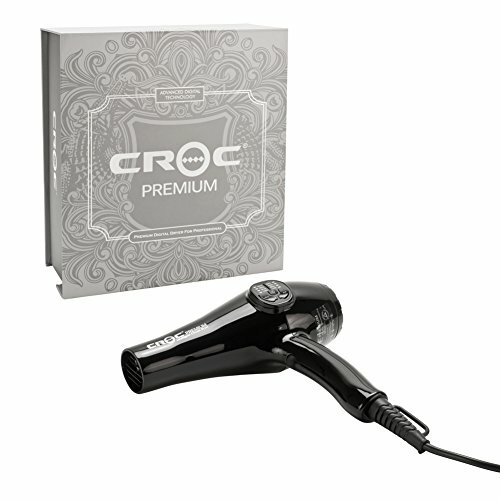 The Croc Turbolon Professional Hair Blow Dryer is also designed with economy in mind because it adjusts itself according to air flow and room temperature. It is lightweight, quiet and has accurate heat settings. Reports concerning its durability are a little troubling- with some saying it lasts a long time, while others complaining of a quick breakdown. 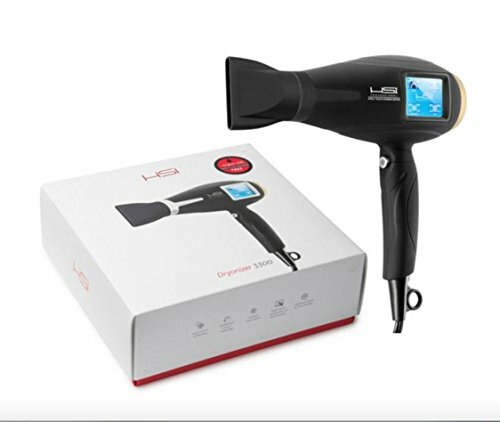 The high-powered, yet surprisingly quiet, ionic BaBylissPRO Turbo Dryer is a solid option that runs on a super turbo AC motor at 2000 watts. Its users love that it is great at removing water from your crown, but also note that uses up a lot of electricity. It is a quality hair dryer built by a quality brand that is on the cutting edge of hair dryer technology. This hair dryer is an excellent option if you are looking for a relatively cheap hair dryer with salon-like results at the comfort of your own home. 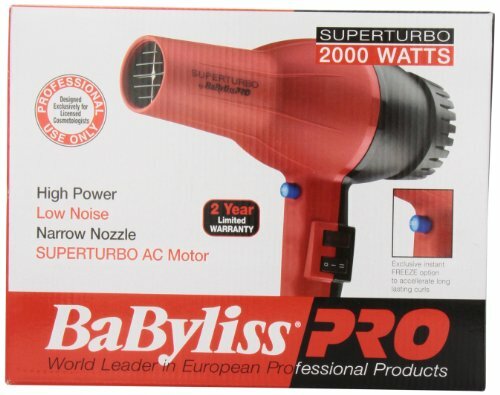 Users like that the BaByliss Pro Turbo Dryer has a heavy-duty and professional construction. Even though it runs on 2000 watts, it is surprisingly quiet. It has three heat settings and has a cold shot button. The highest heat setting is suitable for those with coarse hair. 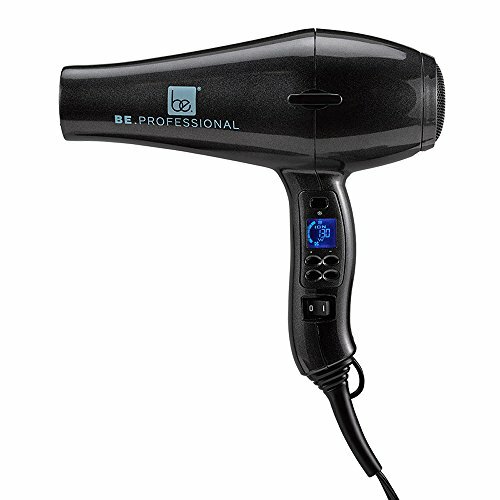 The BAB307 Hair Dryer might be a solid option that comes recommended by salon stylists for home use. It also comes with a 2-year warranty on parts. However, buyers point out that it is heavy, so they advised those who have hand problems like carpal tunnel syndrome to buy with caution. This ionic Kenchii ENV White 10x Speed digital hair blow dryer is a solid option, but also note that it is on the expensive side. Here are some of the features of the Kenchii ENV White10 Digital Salon Hair Dryer: 10 heat and speed settings, LCD display, air guide technology, ion generator, and intelligent memory technology. This product is what most professional salons use, but you can also purchase it for home use. First-time users can find it hard to navigate through the settings of the Kenchii White10 Heat Pro Hair Dryer, but because of its LCD display and the manual, users get accustomed pretty quickly. However, prospective buyers might find the Kenchii ENV Heat Pro Dryer’s look to be over the top- it resembles something from a space shuttle. This CHI Air Vibe Hair Dryer is an expensive, salon-quality buy that has 1800 watt power. Its users like that it is great at drying hair without harming it in the process, but also note that it is best suited for professional salon use. The CHI Digital Touch 1800-Watt Hair Dryer has a touch EMF setting. This low touch EMF is a good option if you prioritize an easy to use digital interface. Many users write that when they use this hair dryer that their hair drying time is cut down by several minutes. It might be on the expensive side, but it saves more electricity when used in the long run. Some people who bought this hair dryer say that their frizz disappears as it makes the hair softer and smoother. The CHI Air Vibe Digital Touch Hair Dryer is also easy to use with it digital touch technology- however, a couple of users reported that their unit stopped working after a month’s use or so. When choosing a hair dryer it's important to consider wattage-higher wattage hairdryers will put out more heat than lower wattage options. It's great to have a variety of different temperature and speed settings-you should also get one with a cold shot button. A cool shot, or cold shot button, will pump out air that is room temperature or cool- cool air is considered better for your hair and also is great for decreasing frizz and maintaining an existing hairstyle. 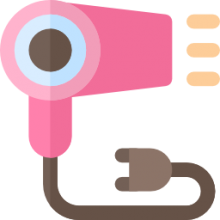 Another often overlooked purchasing consideration is the number of accessories are included with your digital hairdryer-make sure you investigate what is included to ensure that you are getting the best bang for your buck. You may want to have a diffuser attachment which is great for curly hair and also an airflow concentrator which is useful for working with straight hair. Technological advances have made ionic hair dryers available to the consumer market-these are known to cause less frizz but they are more expensive than traditional hairdryers. Everyone has different hair, and therefore different requirements, when it comes to purchasing a quality digital hairdryer. Some people can get by with a eight dollar hairdryer, well others prefer salon-quality digital hairdryers to have the maximum control over how they function. It will really come down to the type of hair that you have and your expectations regarding have a hair dryer should work-by now, if you are at a point in life where you are making your own buying decisions, it's likely you will understand the sort of hair you have and what its needs are. 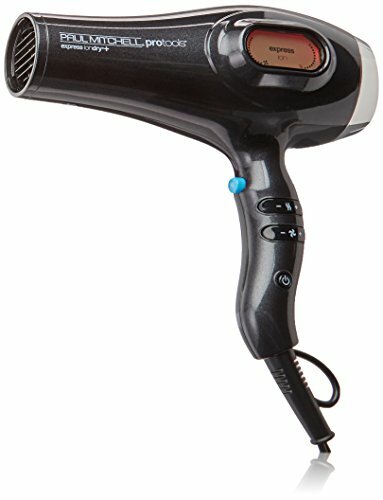 Before buying a digital hairdryer, make sure that you read the reviews above, examine our comparison table to get a sense of what's available on the market and also make sure that you inspect the warranty information prior to purchase so that you can return your digital hairdryer if it isn't a fit for you.